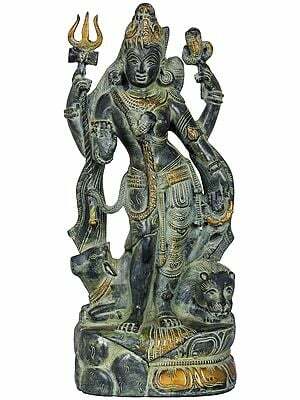 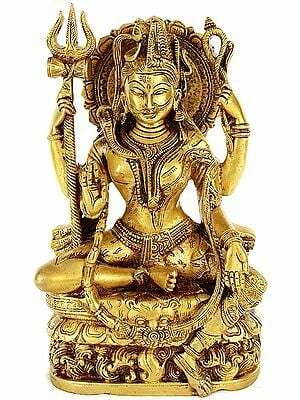 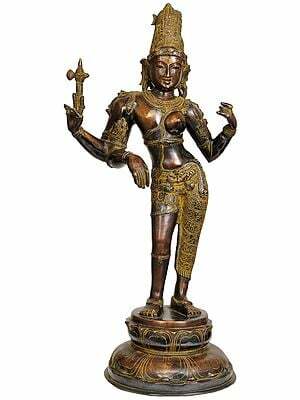 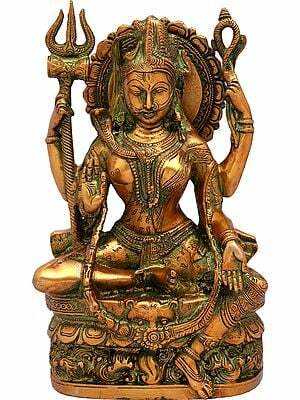 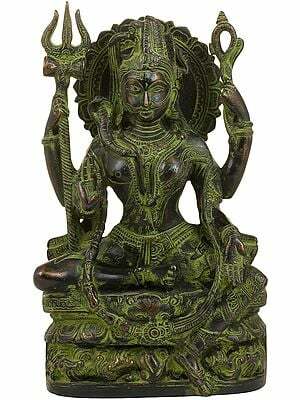 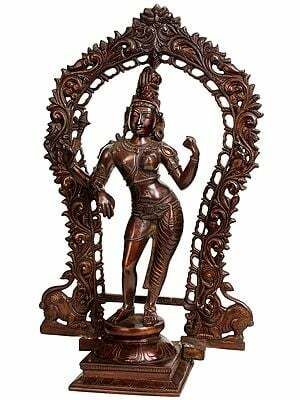 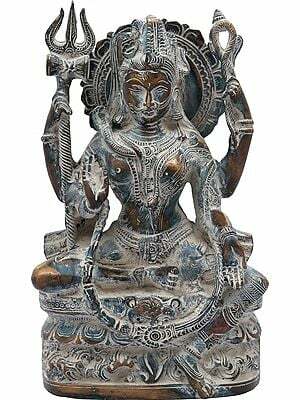 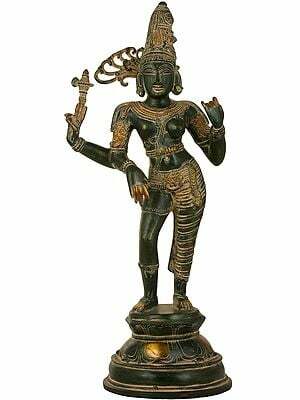 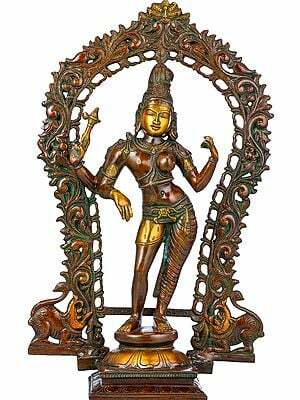 "Barring a few exceptions, the right half of the Ardhanarishvara images comprises of male anatomy and the left that of the female. 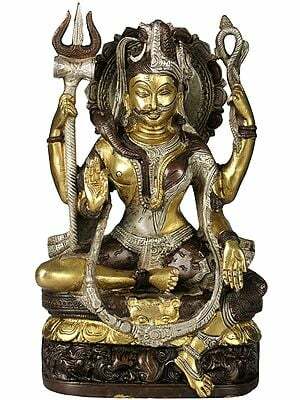 A few images, obviously influenced by Shakta cult, have a vice versa placing of the male and female parts also.... 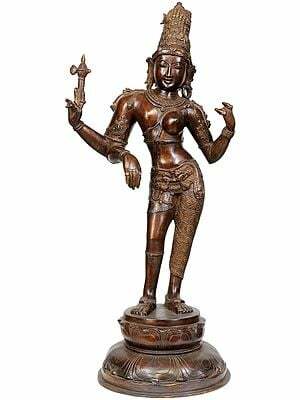 Despite a similar anatomy of the two parts, the female part imparts the feeling of elegance and tenderness. 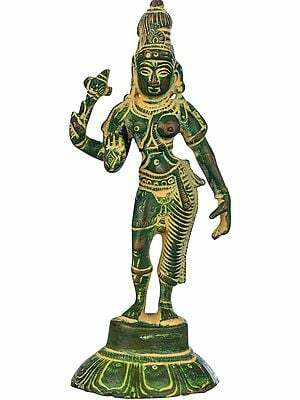 An elegantly modeled prominent breast is the essentiality of the female anatomy.... A Greek myth also comes out with a hermaphroditic form. 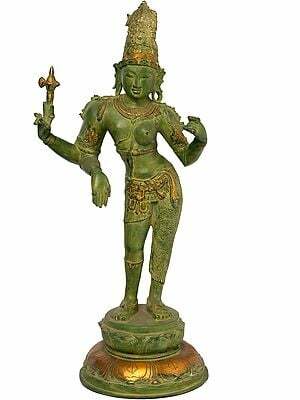 Salamacis, a nymph, falls in love with Hermophroditus, the son of Aphrodite. 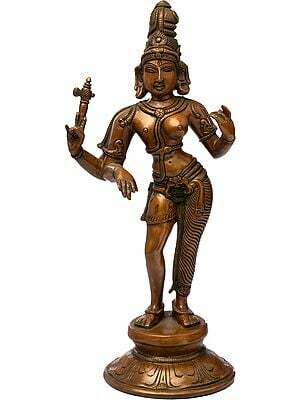 After Hermophroditus turns down her proposal, Salamacis prays gods to put her into his body. 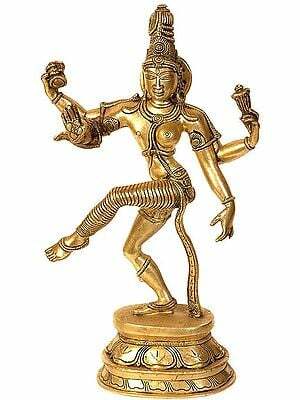 And, thus, the two join limb to limb into a single frame. 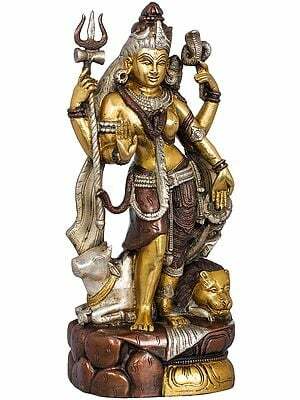 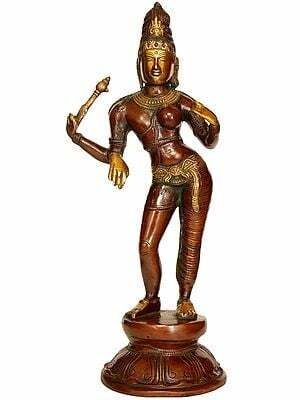 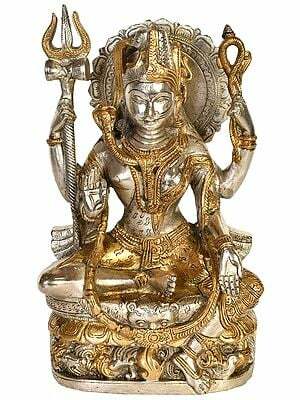 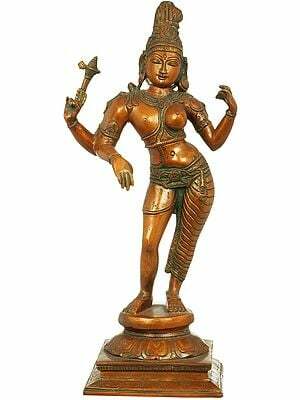 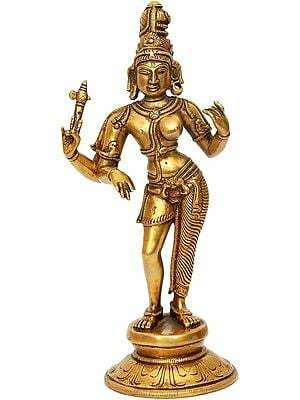 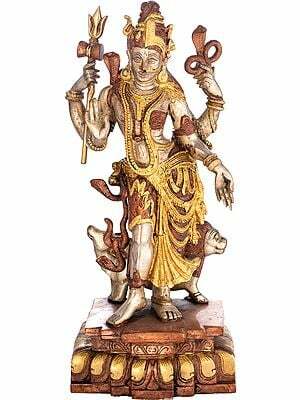 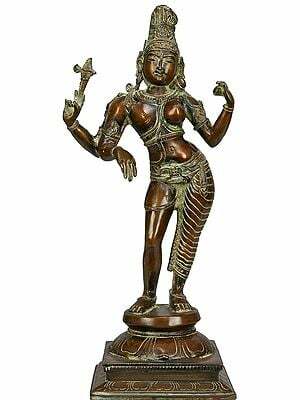 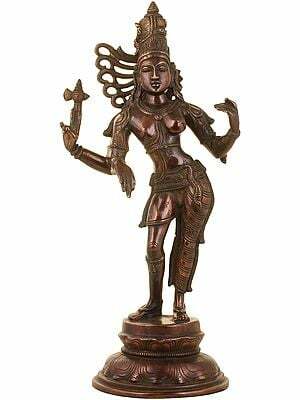 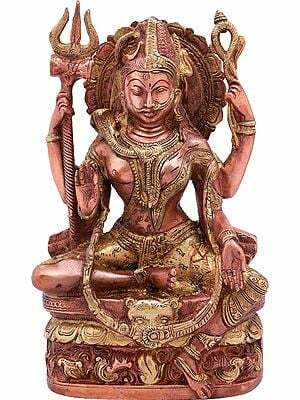 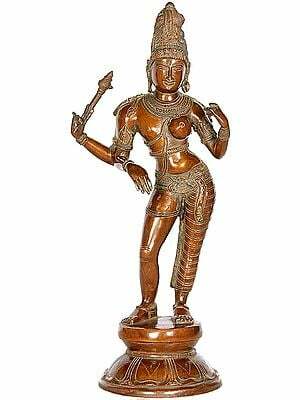 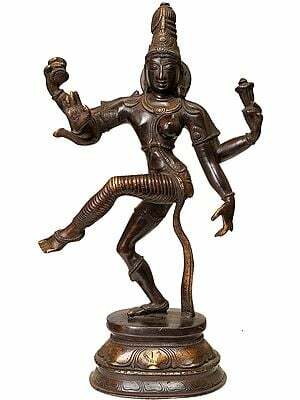 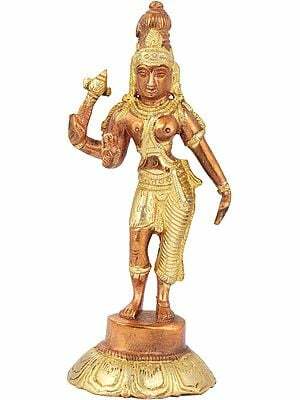 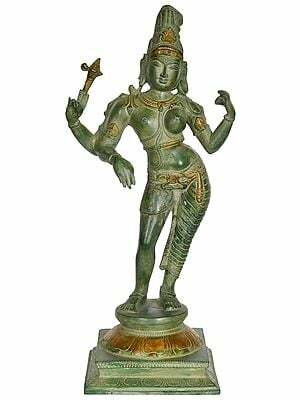 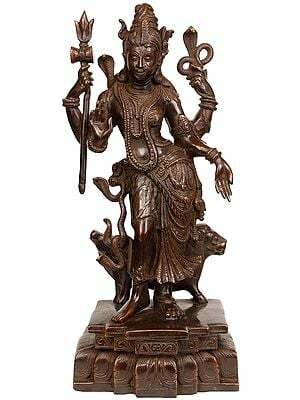 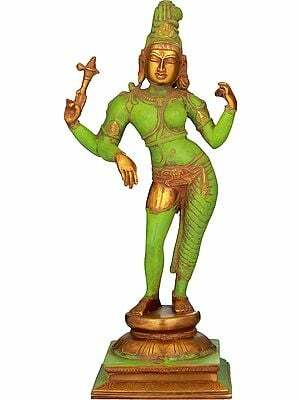 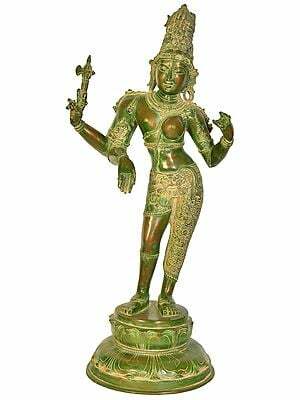 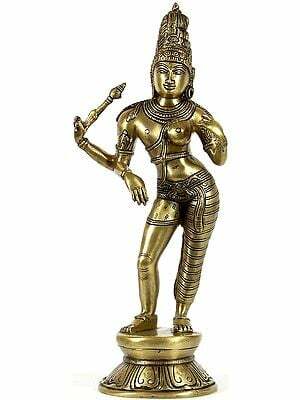 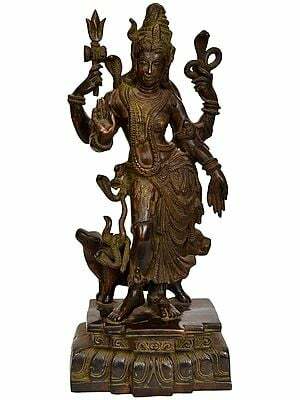 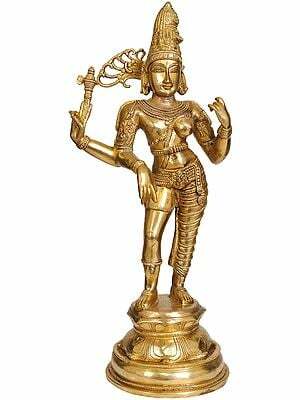 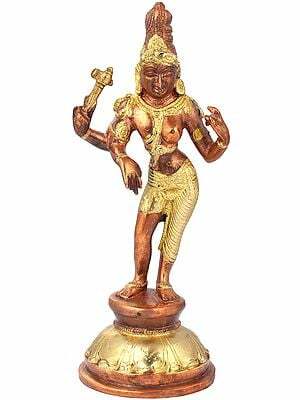 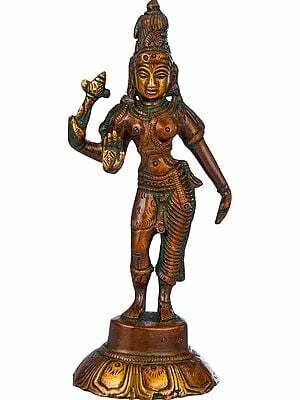 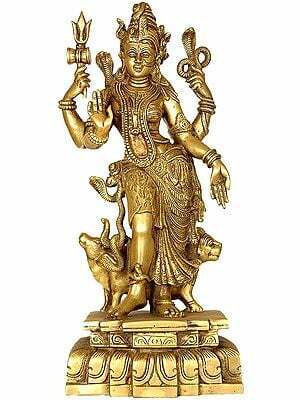 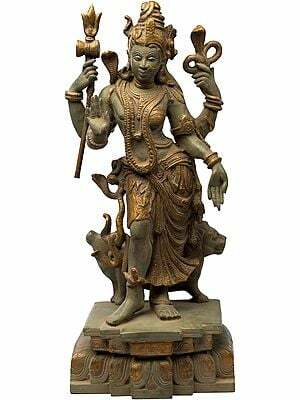 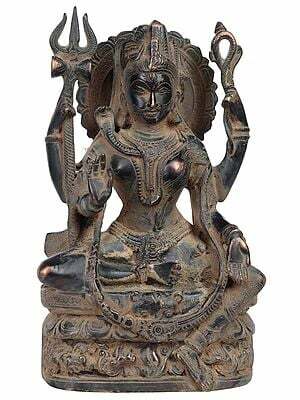 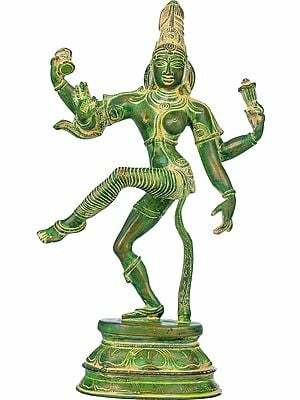 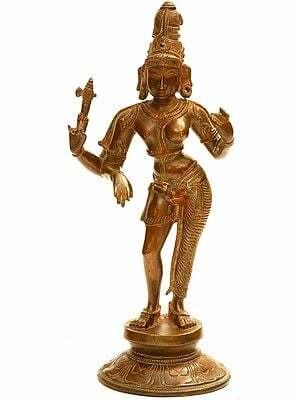 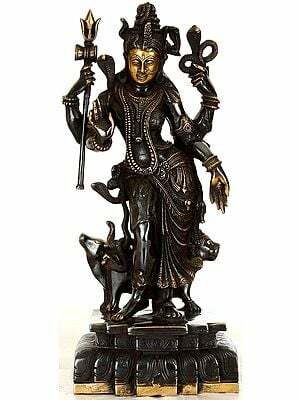 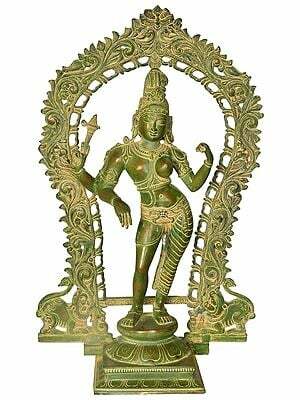 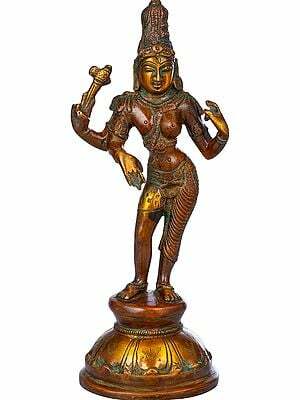 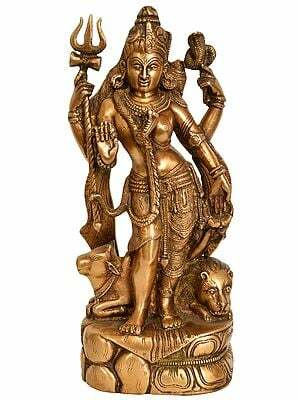 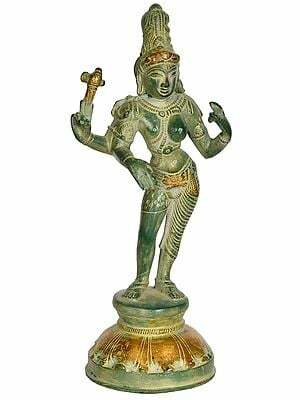 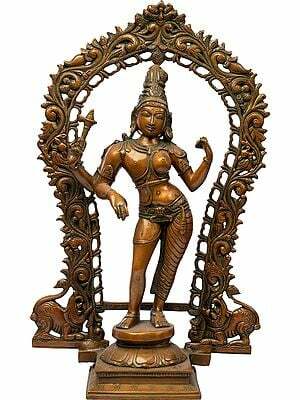 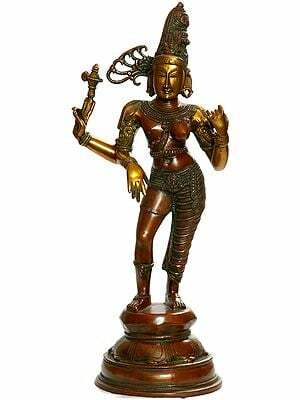 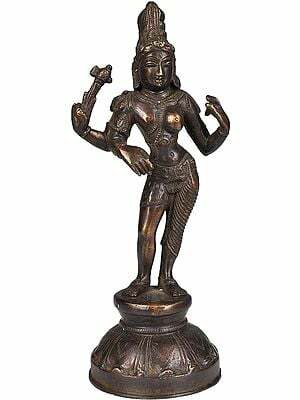 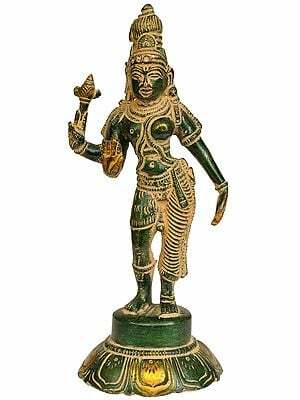 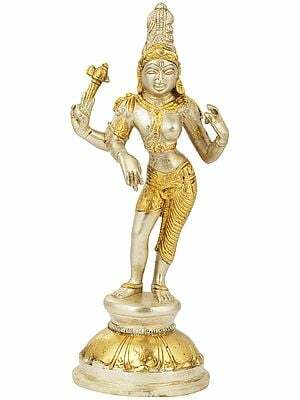 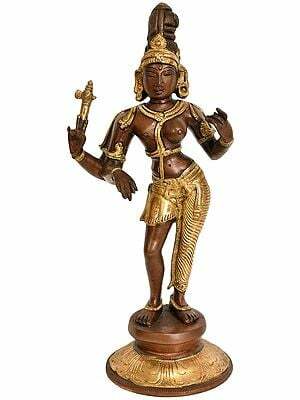 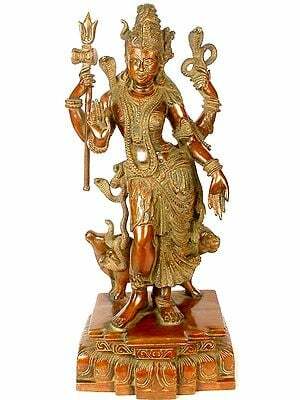 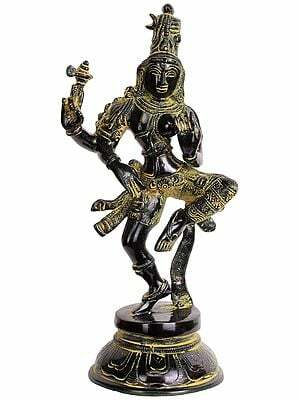 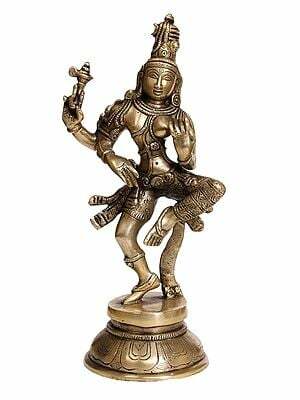 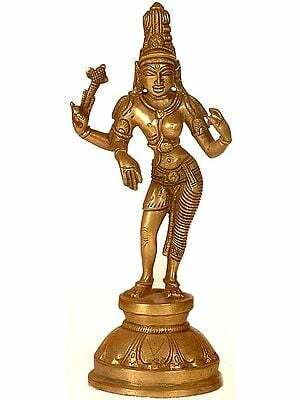 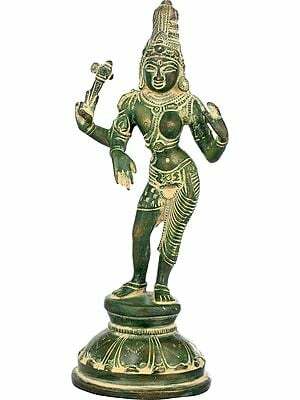 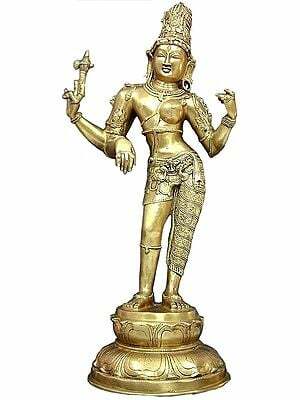 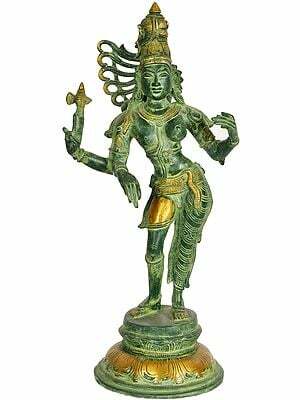 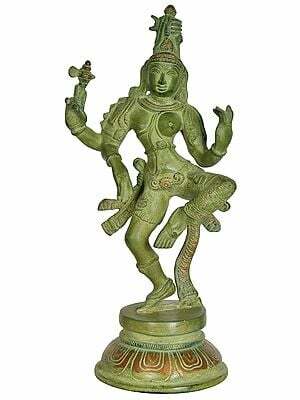 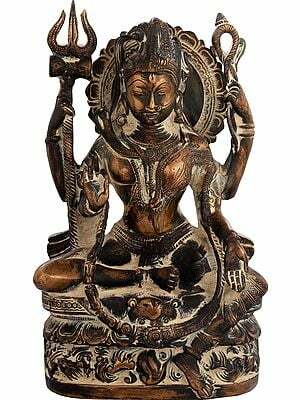 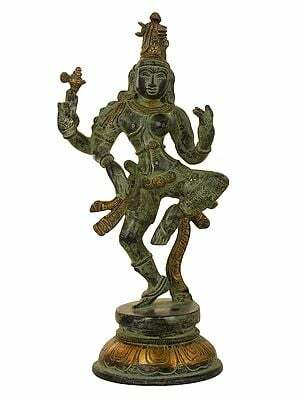 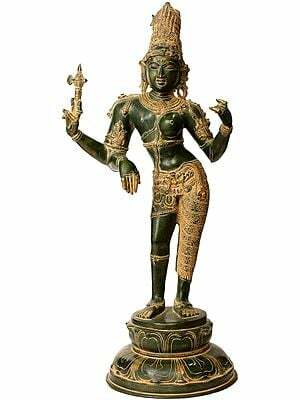 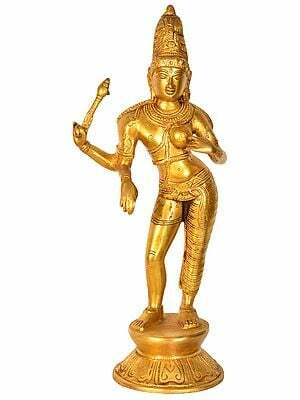 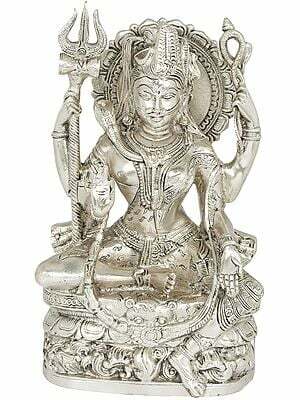 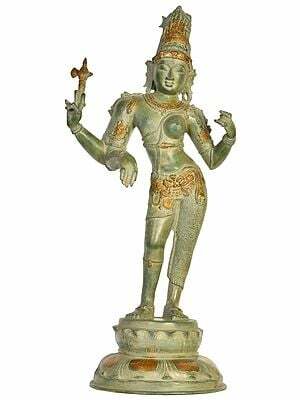 This Greek hermaphroditic form has mythical dimensions but it is neither divine nor cosmic or procreative, such as is the Ardhanarishvara form."